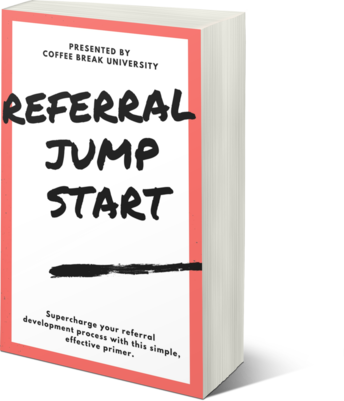 Supercharge your referral development process with this simple, effective primer. So it’s surprising just how few of us actually do it, and what a half-hearted approach those of us that do actually end of making. Particularly when you consider that referral marketing is just is not that difficult. That’s why we put together this Referral Jump Start primer, focused on what you can accomplish in the time it takes to drink a cup of coffee. Our course takes the mystery and confusion out of generating referrals. We start with the basics of what exactly a referral is, how most practices generate them, and a brief overview of what an effective referral program looks like. Dig into how to go about designing a consistent process for keeping referrals streaming in from the people who matter most in your network. Learn how to create an air of expectation around your practice where your network essentially assumes that they are expected to give referrals to your business. The nuts and bolts of how foundational conversations should take place, including how to approach the topic, setting, and clarifying what you need to educate them about the most. 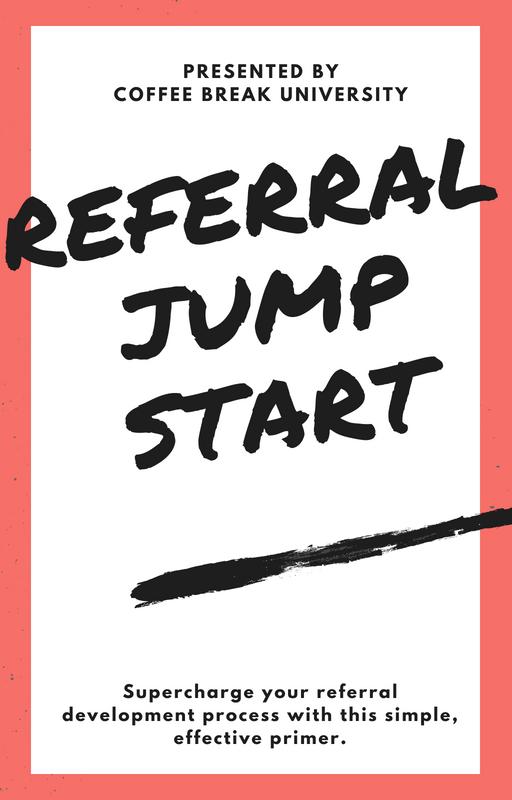 How to reward those who give you referrals, make it easier for them to find opportunities for you, and track your results.